Shareholder activism is showing no signs of abating as this year’s second quarter gets underway. There have already been 54 activist cases across 14 non-financial sectors, up from 43 during the same period in 2014, which was another record year. In 2014, there were 222 activist cases at non-financial companies in North America, up slightly from the prior record of 220 in 2013. We believe these numbers reflect a small sample of actual activity, as our review of activist trends focuses solely on publically disclosed campaigns among rated and unrated companies. The vast majority of activist campaigns fall below the public radar. Exhibit 5 on page 7 demonstrates that 10 activists are responsible for half of the 75 rated company targets in 2014-15. This is Moody’s first 2015 comment on Shareholder Activism. We intend to comment periodically throughout the year. March 27, 2015 Moody's Investor Service: "Activist shareholders gain momentum in 2015; mainly negative for credit investors"
For other reports and research concerning long term investor interests in the effects of capitalization on corporate adaptability, see the "Stock Buyback Policy" section of the reference page for a recent case project. 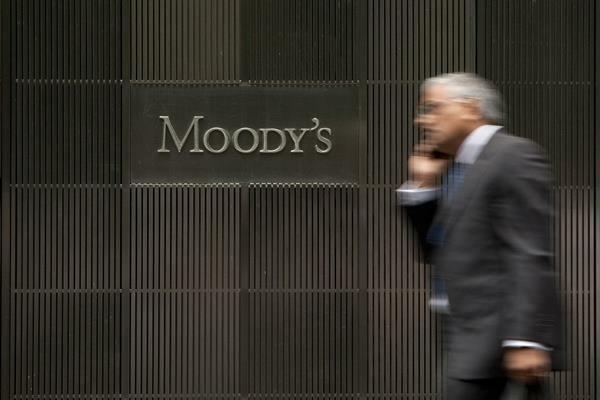 Bond investors face growing risk as activist shareholders are targeting more companies in 2015 than last year, threatening further damage to corporate credit quality, according to Moody’s Investors Service. Activists who seize stakes to effect changes to corporate behavior targeted 26 percent more North American companies during the first three months of this year than in the same period last year, the New York-based ratings company said in an April 7 report. The number of targets will probably increase at the expense of lenders who miss out when activists raise cash for their own purposes because it reduces the amount available for debt repayment. Investors have sought change at 54 companies including General Motors Co. and MGM Resorts International this year, up from 43 during the same period in 2014, Moody’s said. The record 222 companies targeted last year was up from 220 in 2013. Assets managed by activist hedge funds increased to about $120 billion in 2014 from about $105 billion in 2013, according to Hedge Fund Research data cited by Moody’s. They’re lured by the “huge cash pile” at U.S. non-financial companies, which had $1.65 trillion on their balance sheets in October 2014, according to the report. Technology companies, which as of October carried more than half of the cash held by the largest non-financial U.S. companies, accounted for 20 percent of shareholder activism last year. Along with its cash, the sector’s minimal dividends and low debt levels will continue to draw attention from these investors, Moody’s said. Still, activists are increasingly pressing for structural changes at target firms rather than just carving out share buybacks and dividends, according to Moody’s. Balance sheet-related demands comprised just 11 percent of total demands in 2014, down 6 percent from the previous year as companies proactively returned cash to shareholders. “We expect greater focus by activists on strategic and operational issues, including M&A and corporate spin-offs, and less on balance sheet activism going forward,” the Moody’s analysts led by Plath wrote.